There are plenty of incredible processors on the market today, but while we all appreciate something shiny and new, us gadget fiends tend to take as much satisfaction in a trip down memory lane. With CPUs hogging the headlines in recent weeks, we reckon now's a good time to discuss fond memories of chips gone by. 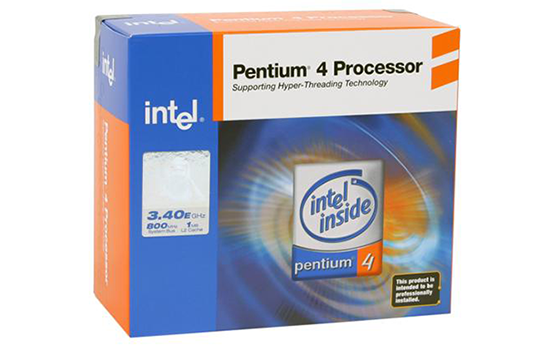 So for this instalment of the HEXUS question of the week, let us ask: what was the first CPU you ever purchased? We are, of course, referring to standalone parts, so a CPU acquired as part of a system or laptop doesn't count. I reckon mine was an Intel Pentium 4, back in 2003. How about you? Let us know which chip was your first in the comments facility below, and we'd love to see pictures if you have them. Athlon XP 1700+ was my first self-built machine. First bought computer had a Intel Celery 500mhz with 64mb RAM. XP2800 in the first desktop I built.